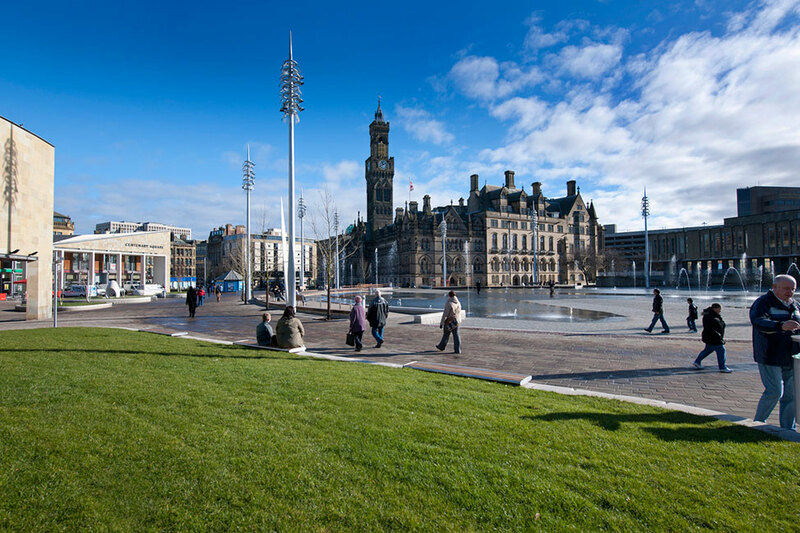 Gillespies: City Park in Bradford, designed by Gillespies landscape architects and urban designers on behalf of Bradford Council and supported by a multi-disciplinary design team is a landmark public space. 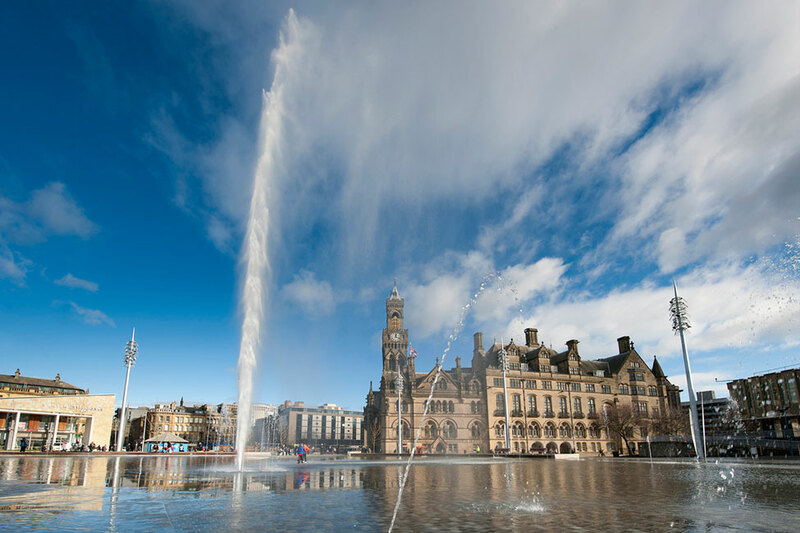 It contains the largest city-centre water feature anywhere in the UK, a 4,000sqm mirror pool, and the UK’s tallest urban fountain that reaches a spectacular 30 metres high. 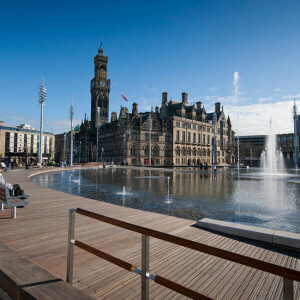 City Park stems from a city centre masterplan drawn up in 2003 for Bradford, which provided a vision of opening up the city centre and creating a new public space. 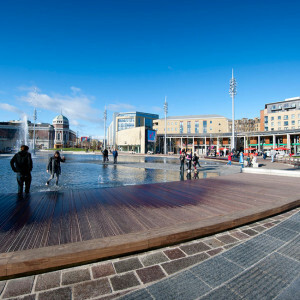 Bradford Council took the lead role in turning this vision into a viable plan, and Gillespies, Arup, Sturgeon North, Atoll and The Fountain Workshop developed this early concept into a detailed design which was submitted for planning permission and funding in 2007, before construction started in late 2009. 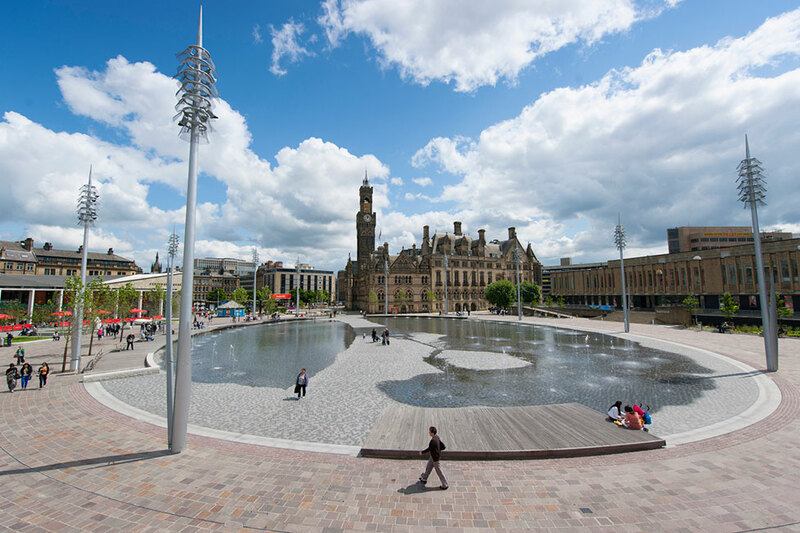 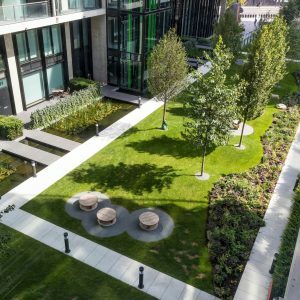 The completed design builds has created a flexible dynamic centrepiece in the form of a vibrant 2.4ha public space, including the mirror pool, fountains and public art. 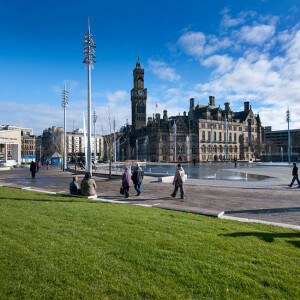 The park centres on Bradford’s 19th Century City Hall and helps to connect the city’s major visitor attractions with transport hubs and the rest of the city centre. 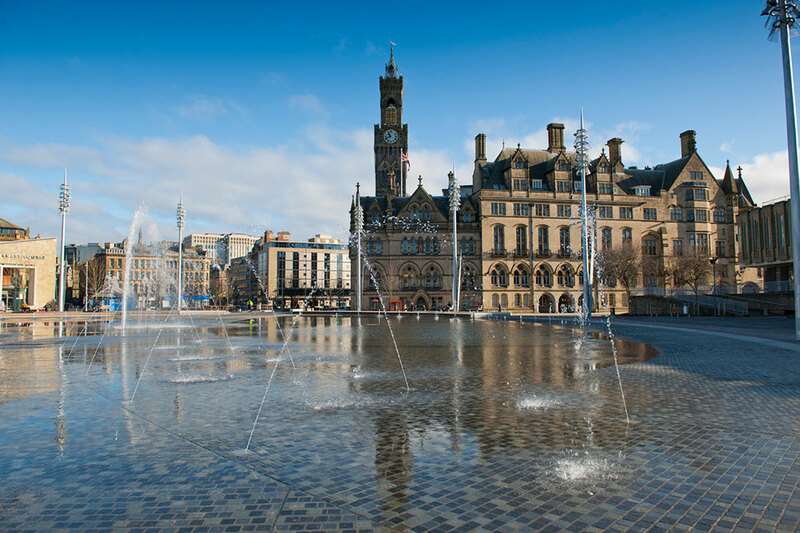 It enhances the overall image of Bradford and helps create a landscape for investment by setting Bradford apart from other cities. 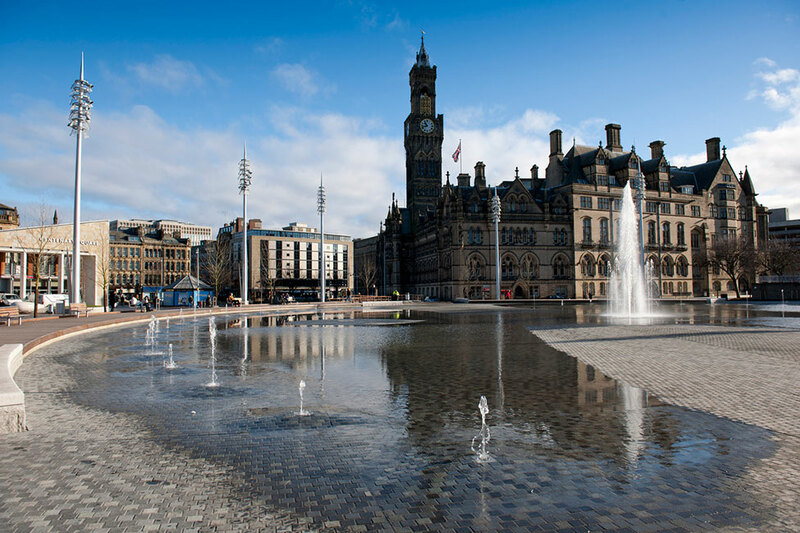 • HINTERLAND: Bradford’s setting is that of a city surrounded by visible hills and countryside. 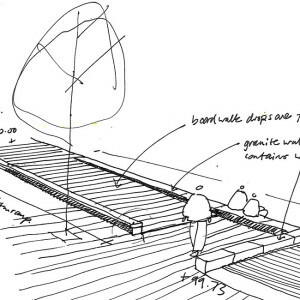 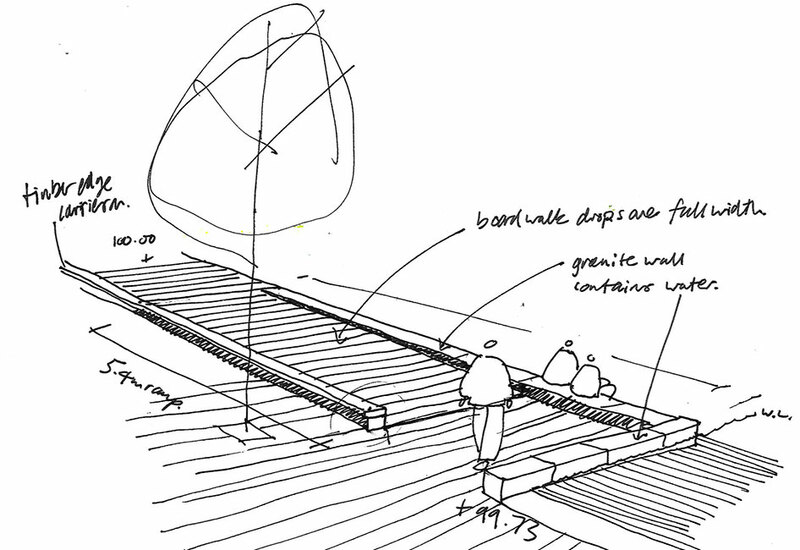 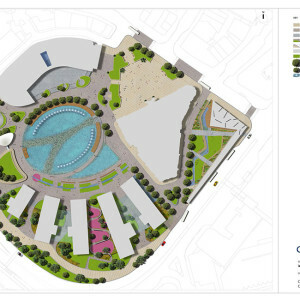 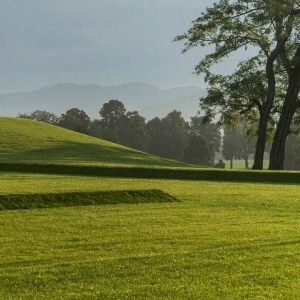 The design for City Park seeks to suggest the meeting of urban and rural. 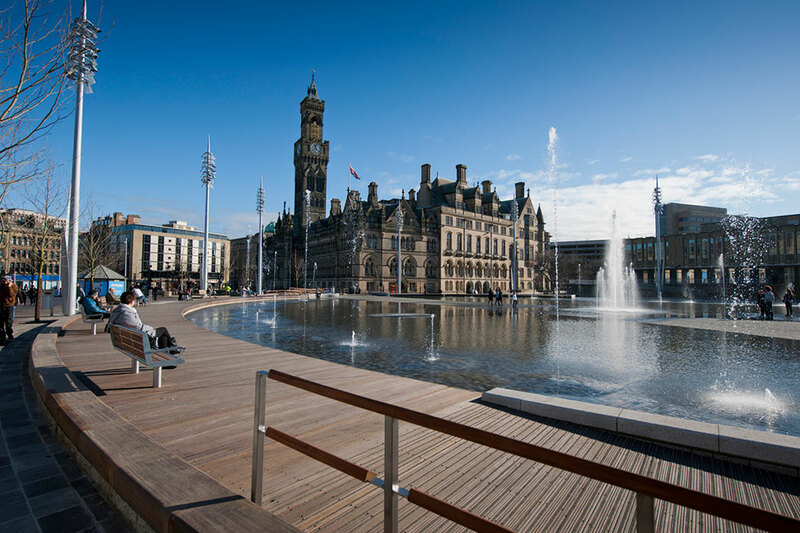 Gillespies wanted the idea of hinterland to reference the outside towns and villages looking into the City, and the City looking outwards. 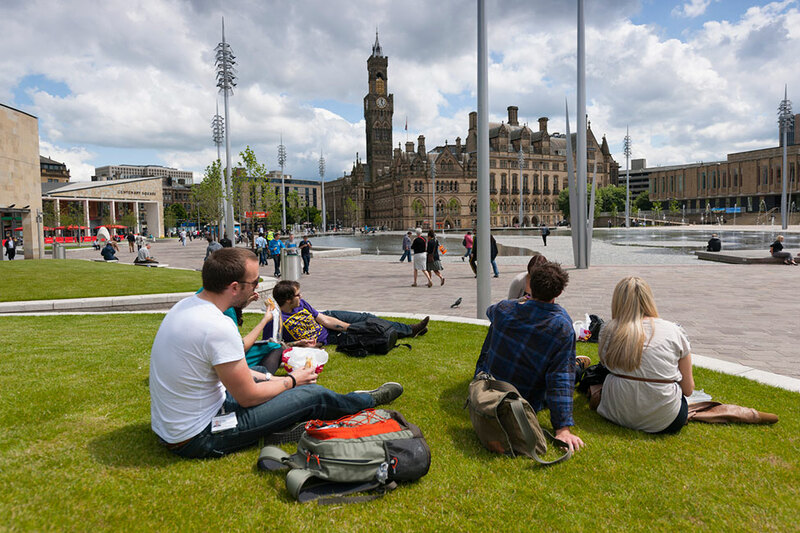 This concept is borne out not only by the park’s design and built forms, but also how City Park interacts with Bradford’s people – both those within the city, and those on the edges attracted into the city by its regeneration. 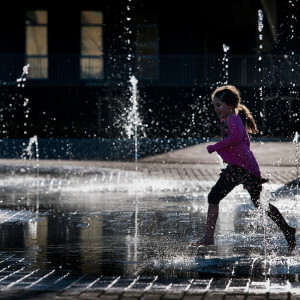 • WATER: The unifying element of City Park’s design is water. 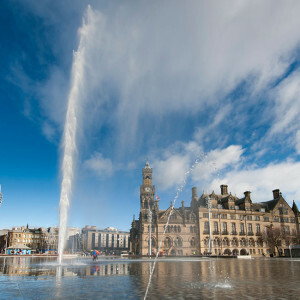 Water provides a deep-rooted connection to Bradford’s industrial energy. 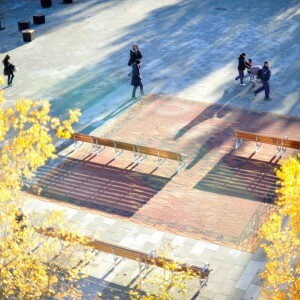 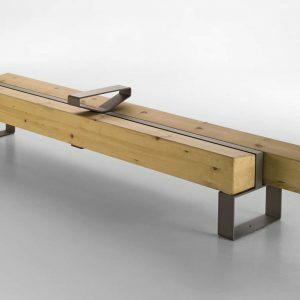 • MIRROR: City Park’s space provides a place to reflect. 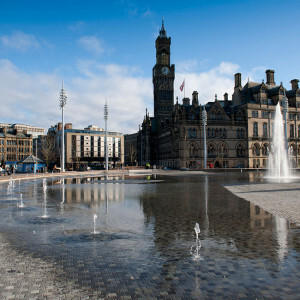 Its mirror pool provides an architectural mirror to Bradford’s city centre, skies and weather. 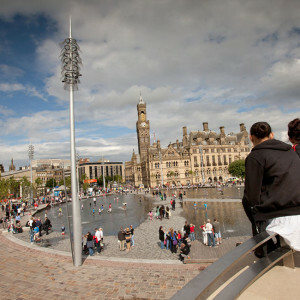 The mirror pool brings this public space alive and provides a mirror for events, people and culture. 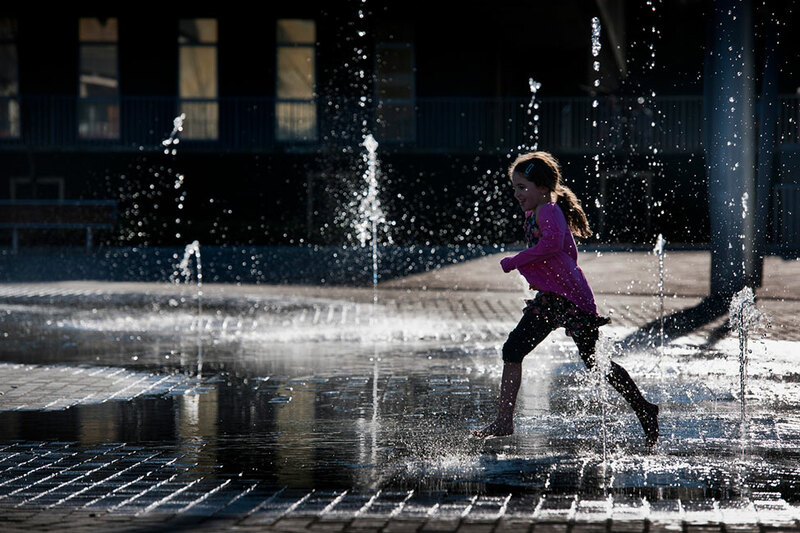 “We designed City Park as a beautiful public space with water at its heart. 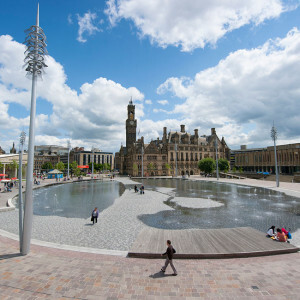 This new centrepiece for Bradford acts as a pivotal focal point, and gives Bradford a new postcard identity with the unique dynamic mirror pool and high quality landscape. 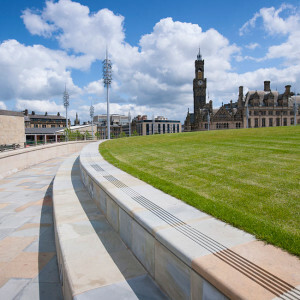 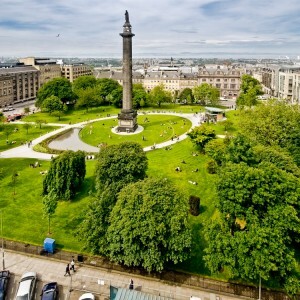 Its magnificent grand public spaces promise to delight both local people and visitors. 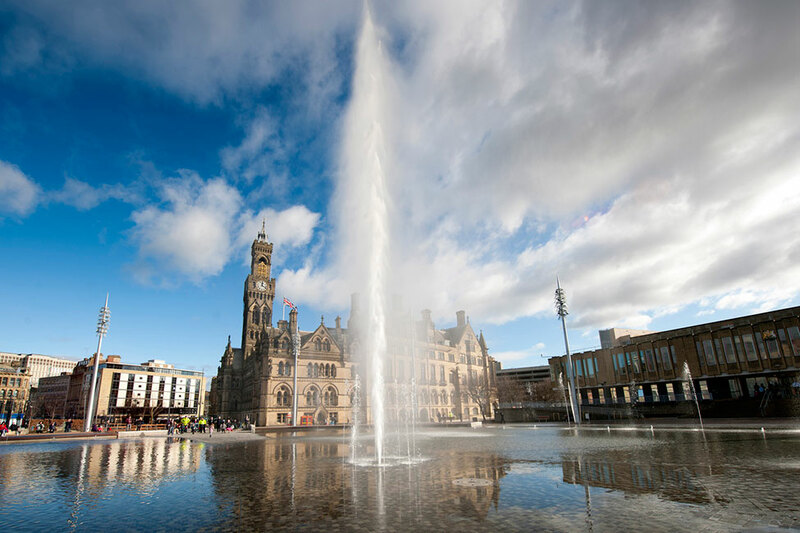 Water was the engine for the success of Bradford during the industrial revolution and we are confident that water will once again act as the catalyst for the regeneration of the city over the next decade. 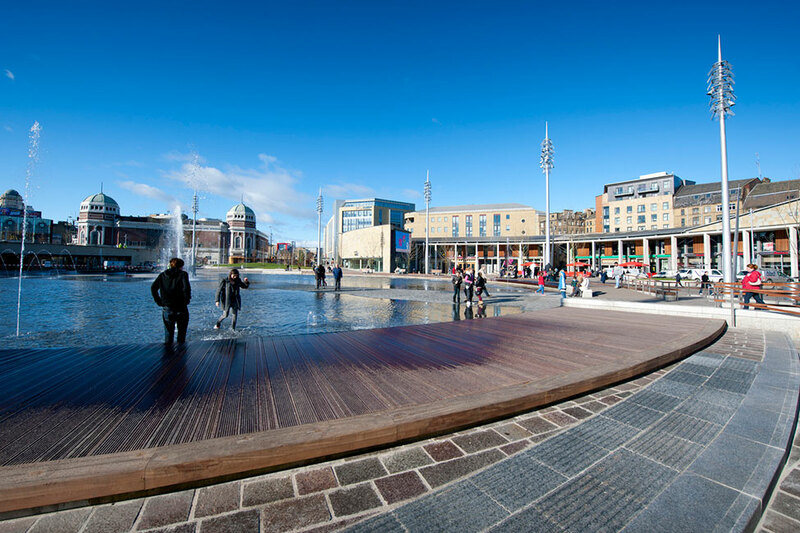 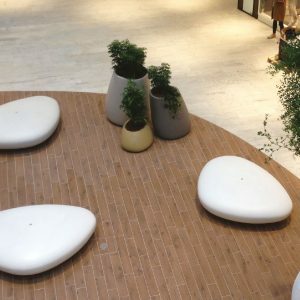 The scheme is testament to the courage and faith that Bradford Council and others have shown in the regenerative power of really high-quality public realm”. 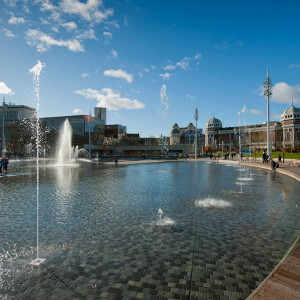 At the heart of the completed City Park is a huge water feature, the 76m by 58m, 4,000sq m reflective mirror pool. 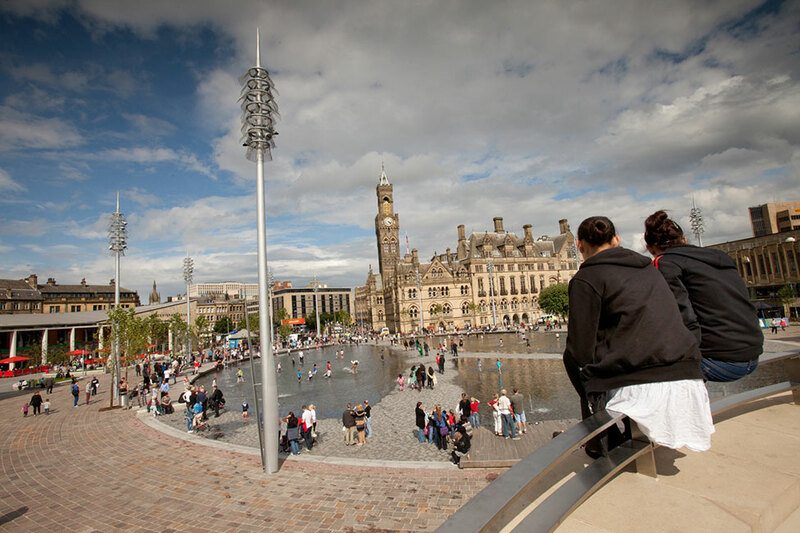 Testament to the design by Gillespies with engineers Arup and The Fountain Workshop, the mirror pool is a multi-functional space. 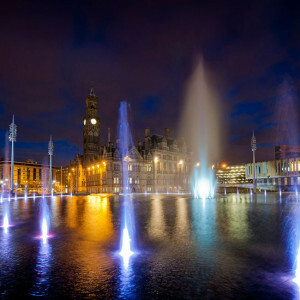 The body of water can drain down fully to provide a large-scale events venue. 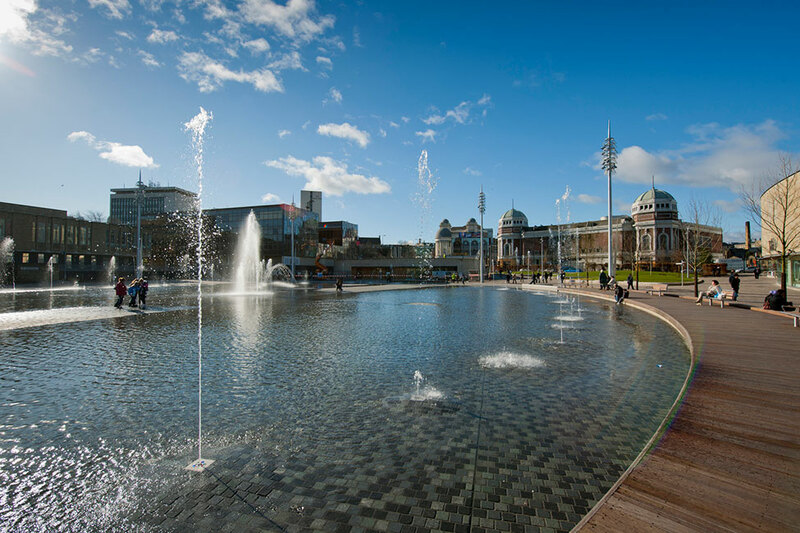 The water level can also be lowered slightly to reveal causeways, allowing people to walk through the pool between the fountains. 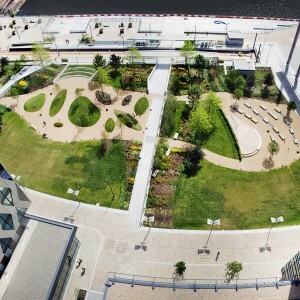 The causeway also divides the water into three pools which can be drained in any combination to provide a smaller event space, with water as a backdrop. 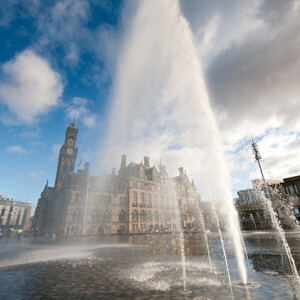 The pool contains 600 cubic metres of water and over 100 fountains. 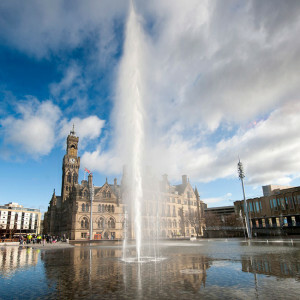 The central fountain can reach over 30m high making it the tallest in any UK city. 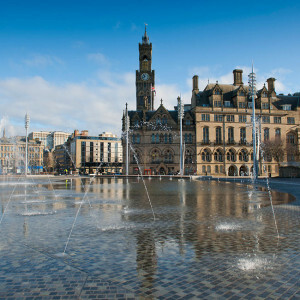 Despite the size of the pool, the water is very shallow (220mm max.) 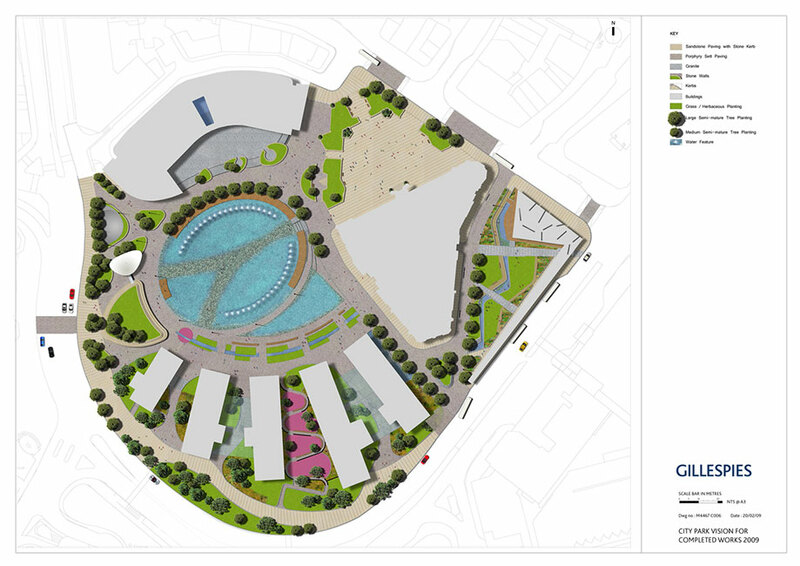 changing depth very gradually, which brings benefits for sustainability and functionality for events and safety. 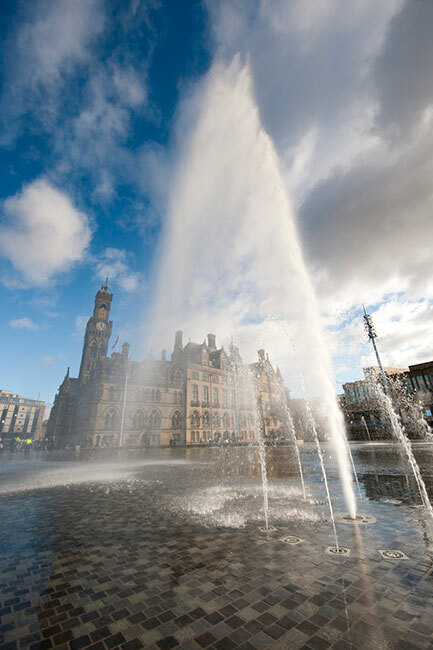 The fountains have an elaborate series of pre-set programmes that change depending on the day, the weather and local events. 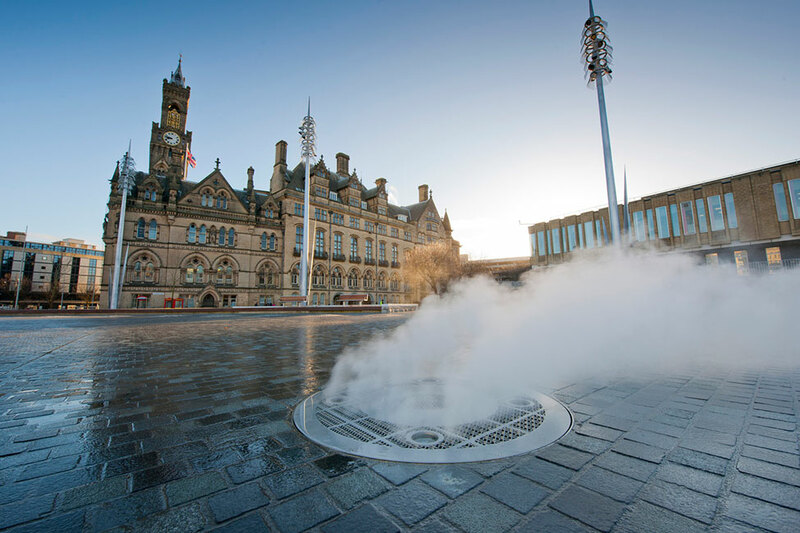 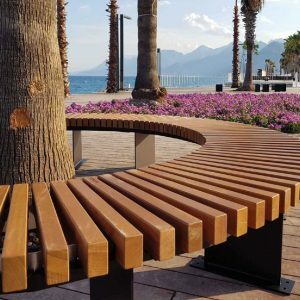 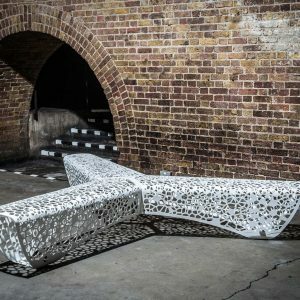 The sequence of fountains will respond to the daily rhythms of the city, marking times such as when people travel to and from work or take their lunch break. 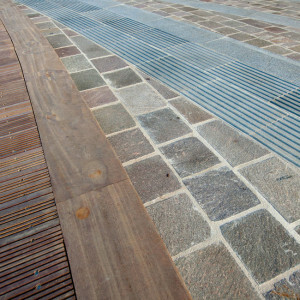 The ability to fully drain the pool on a daily basis simplifies the operational and maintenance of the pool. 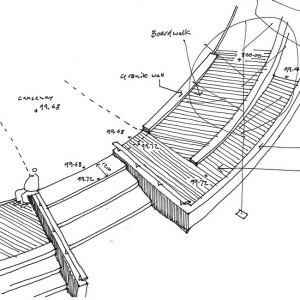 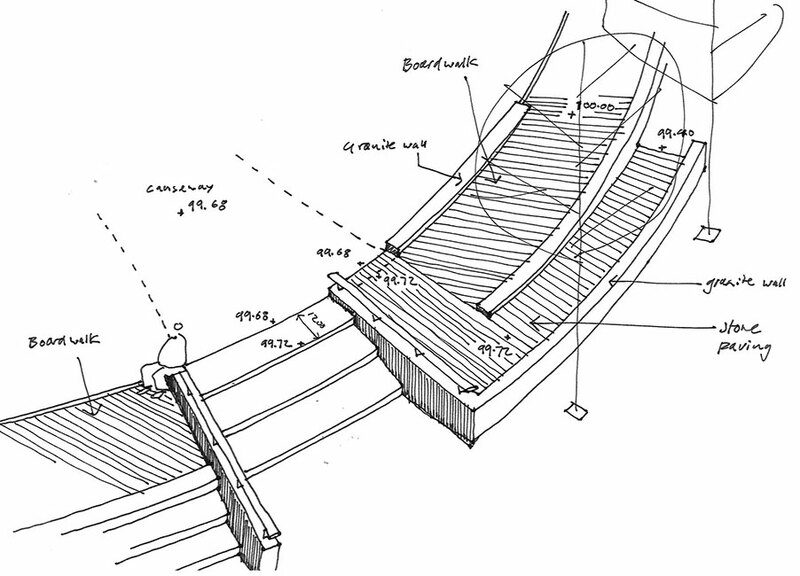 This was a key factor in the design development. 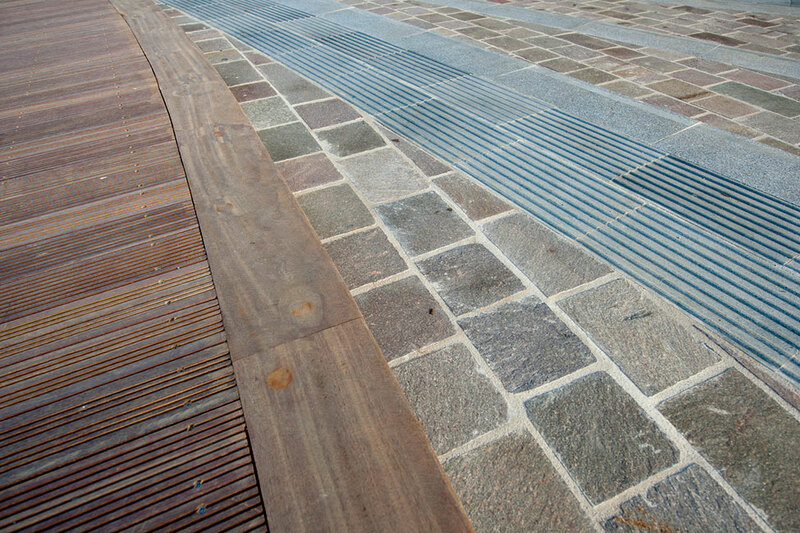 It removes the need for specialist cleaning equipment at ground level reducing the annual maintenance costs. 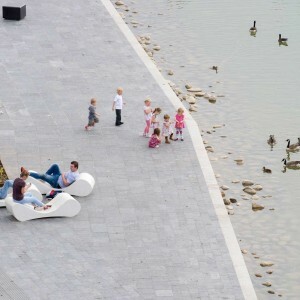 Gillespies designed City Park’s mirror pool to be surrounded by a 4m wide south facing, hardwood boardwalk – a “beach” around the pool from which to dip your feet in summer. 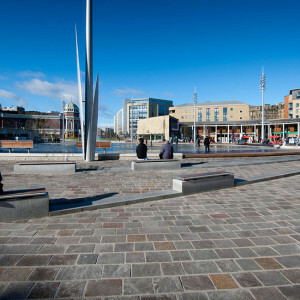 The rest of the site is constructed in equally high quality materials from the granite sett mirror pool to porphyry and sandstone paving. 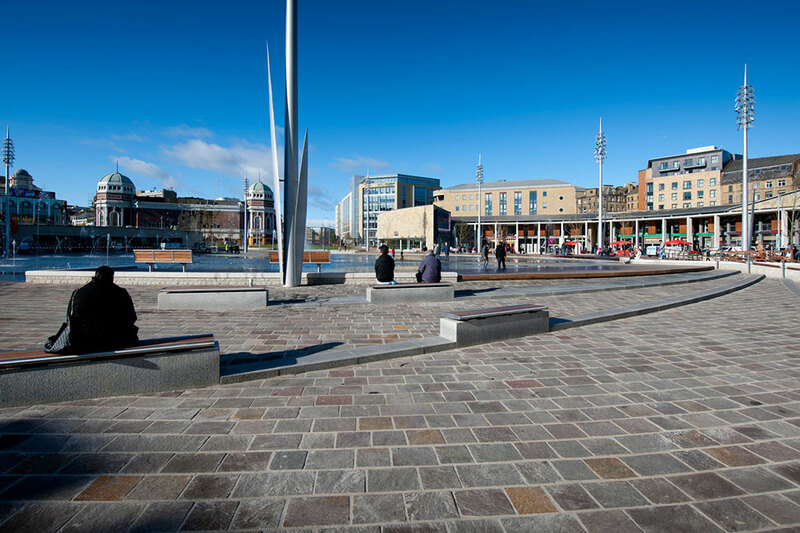 All paving in the central area is designed to withstand high vehicle and point loading so that the space is suitable for events of all sizes. 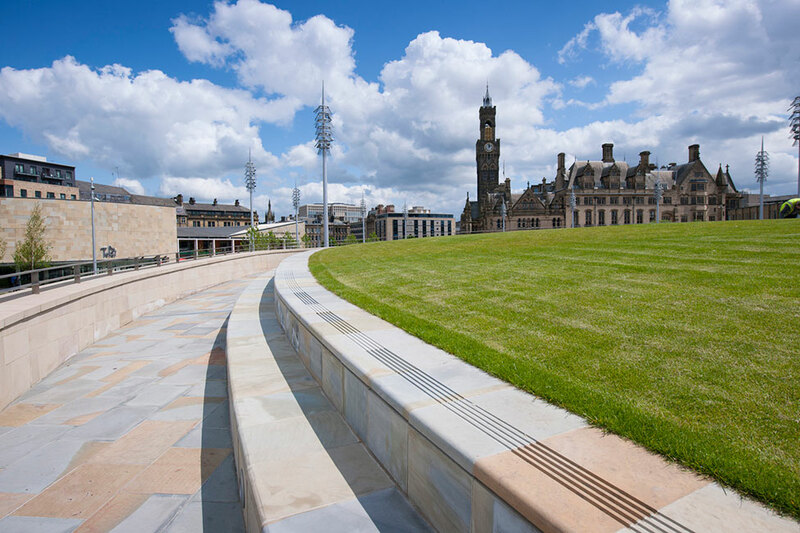 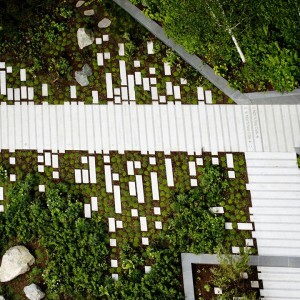 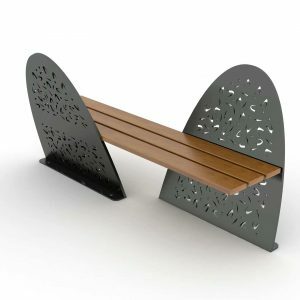 Gillespies selected hard landscaping materials to tie-in with those used elsewhere in Bradford’s public realm spaces, to embed City Park into the fabric of the city. 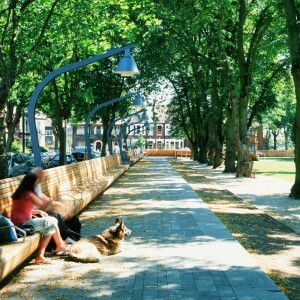 Lighting has an important role in extending the use of the park after dark. 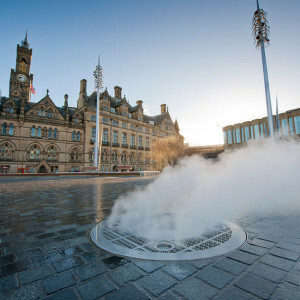 The lighting has been carefully balanced to deliver a flexible playful night-time setting while maintaining the functional requirements for a city centre. 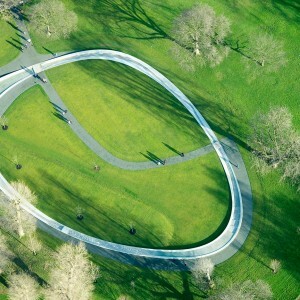 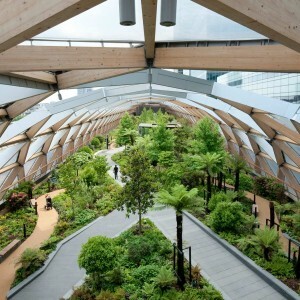 Lighting levels have been selected to best balance the differing pedestrian experiences, aiding navigation around the park and challenging the traditional approach to large scale landscaped spaces. 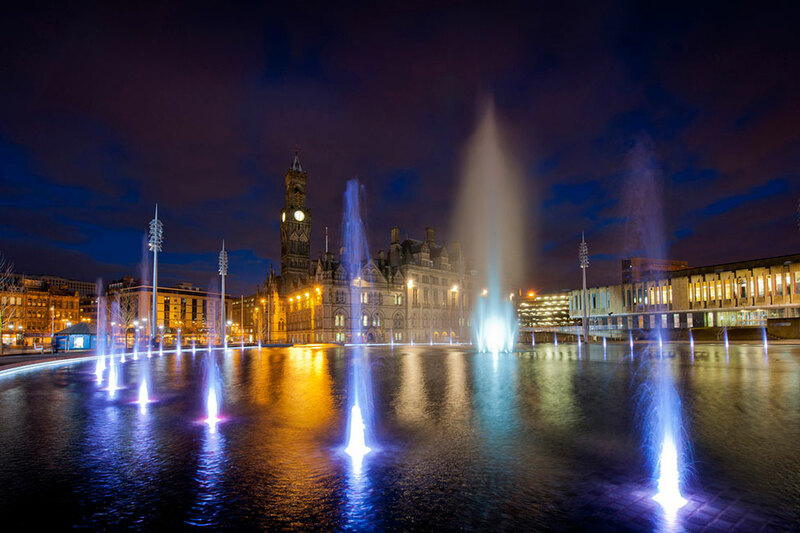 The City Park lighting installation is managed via a central lighting control system, which responds to both the rising and falling water levels and artistic requirements.